The shooting of Prabhas' upcoming film Saaho is currently progressing at a brisk speed in Hyderabad. 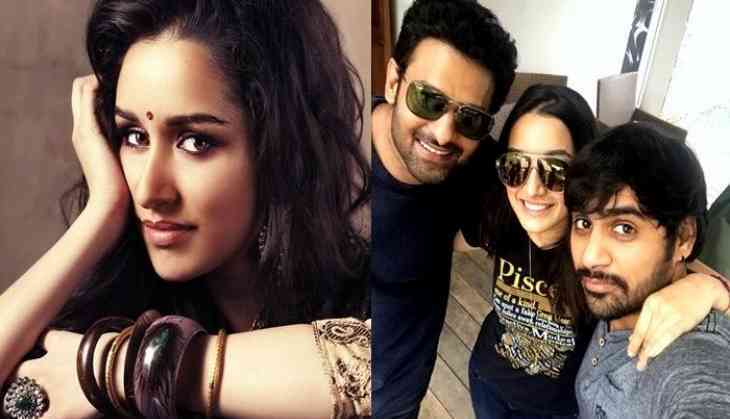 The film, a Telugu-Hindi bilingual, marks the Bollywood debut of Prabhas and Telugu debut of Bollywood actress Shraddha Kapoor. Directed by Sujeeth Reddy of Run Raja Run fame, Saaho is tipped to be a fantasy action adventure. In a recent interview to an English daily, Shraddha Kapoor had revealed that she don't want anyone else to dub for her in Saaho. She also added that she feels great giving her own voice to her face. Jointly produced by Vamsi and Pramod, Saaho is reportedly being made for a whopping amount of Rs. 150 crore. The film also stars Bollywood actors Jackie Shroff, Chunky Pandey, Neil Nitin Mukesh, Mandira Bedi and Tamil actor Arun Vijay.